You can have home issues that you don’t even know about, not only are they an eyesore but they could also be potentially causing health problems for your family or make your home dangerous. So it’s important that you make checks to ensure that everything within your home is in good shape. What Home Issues Should I Look For? We’ve written this article to help you troubleshoot any serious home damage that could be putting you and your family at risk. This does not necessarily mean that your home problems have to be visible, there are many factors within your home that you cannot see that could also be damaged. So if you want to find out -then keep reading! One of the most common home problems that homeowners face in the UK, your homes drainage and guttering is based on the exterior of your home, and it is not particularly visible. Meaning that it isn’t necessarily a problem that you would see that something is wrong with it, the excess flowing water from your drainage system can then penetrate walls, basements and crawlspace and can even cause damage to your roof. Birds or other animals nesting in your gutters are often a common cause of blocked drains, so you should do regular checks to ensure that nothing is blocking your gutter. To resolve this issue, you can arrange regular gutter cleaning, or repair or replace your existing gutter. You should also consider regular cleanups with a power wash to keep it in working order to refrain from damaging your home. Another issue that is common within UK residences, poor ventilation happens when there is not enough fresh air circulation within your home. With poor ventilation, your home could be subject to damp, mold which can cause severe structural damage – not only this but mold within the home can cause health issues such as wheezing, eye irritation and throat irritation. You can fix this problem by having more windows open, or have ventilation vents installed – for moisture damage you can consider purchasing a dehumidifier to take the moisture out of the air. A dehumidifier works by sucking out the moisture within the air and then blowing it back out as regular air to help stimulate ventilation. This is another home issue that is often difficult to spot as you never can get a proper look at your roof. It’s said that if it looks okay, then it is okay – however this is not the case, a roof does not have to look fine for it to be okay. The results of a damaged roof often include; leakage, damp, mold and rotting. Not only could this cause health issues but the roof of your home has access to your insulation so could damage the insulation of your home and if left then your entire house. If it is possible to fix a particular part of your roof if the damage is at minimal, but if your roof has severe damage then your builders Newport Pagnell may advise you that the whole roof needs to be replaced which can be a costly process. Old plumbing systems are more faulty than you think and are always causing home issues; you should always have regular plumbing check-ups or have a plumber come to your home and check the state that your home’s plumbing is in. If you are struggling for money then do your research and search online – many companies supply free fittings, and there are schemes that can help you out. If you are thinking about selling your home, then this is one of the first things you must take into consideration. 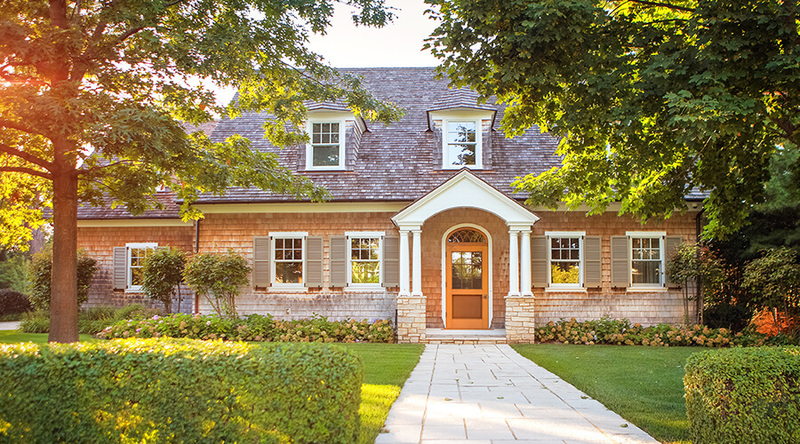 What state is the exterior of your home in? The first thing someone sees when they approach your home is the exterior, so you want to make sure that it looks nice. Your house is probably older than you realise unless you live in a new build, this means that the elements are battering it every day and wearing it down so you should give it some love to get it looking back in shape. Have your builders Towcester have a look at the brickwork and see if there is anything they can fix up, a spot of paint can easily have your property looking loved again. Electrical rewires can cost a lot of money so you should go out of your way to check your wiring is all up to date before it’s too late, it’s a typical home fault, and it’s frequently discovered when you just move into a house. So when you’ve moved in you instantly have the expense of a home rewire because the previous homeowners did not check their home’s wiring. If you rent your home, then your landlord is responsible for this task, but if you have a mortgage or own your own home, then you should have yearly electrical inspections to check the state of your home’s wiring. The most common causes of faulty electrical wiring within your property can be; improper grounding, inadequate overload protection or aluminium wiring and risky armature wiring connections. Electricity is one of the main culprits of home fires, so it’s dangerous if not fixed, you are also prone to electrocution from faulty electricity if not checked. As well as not wanting to be cold in the winter you don’t want to have your boiler or heating system put your family in danger. Once again if you rent your home, then this is also the landlord/lady’s responsibility, but if you own your own home, then you must make sure that you have regular boiler services to ensure that everything is in safe working order. Not only will a faulty boiler waste your money, but it produces deadly Carbon Monoxide that hospitalises thousands of people a year and can be lethal if left. If you’re looking to move house, then these are all important factors that you should take into consideration to help you sell your home faster and easier. We hope this article was helpful, if it was then why not share on social media?